The beginner Whistle class is designed to be as much of an “instant tin whistle class as possible”. After a short introduction to the basics of the whistle the aim of the class is to learn a new tune every week. The technique we use is usually by ear and tabliaure (diagrams) so prior musical knowledge is not needed although sheet music will be given as an optional reference. 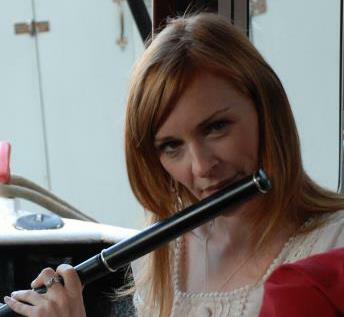 You will need your own Tin Whistle (make sure it’s in the key of D). The class is designed so you can catch up within one lesson to the standard of a new tune per week if you are a late joiner. Throughout the term we will then begin to work on making the music more interesting by playing together, adding harmonies and ornamentation. It’s a great way to start from scratch or tidy up your playing if you are self taught. The Intermediate Whistle class is designed for people who already have some experience in playing whistle. You must bring your own whistle in the key of D. The tunes covered are mostly traditional and we do some learning by ear but also give you the sheet music to take home. We concentrate on learning melodies, harmonies and using ornamentation. You will build up a good repertoire of tunes each term and should gain confidence through your playing in class. You can also attend the GFW Slow Session at 7pm before the class.